It’s new iOS game night and one of the most hotly-anticipated titles is finally upon us: Bioshock. Despite all the hemming and hawing over a graphical downgrade and touch controls, it’s hard not to feel like Bioshock on iOS is a bit of magic when it’s actually running in the palm of your hand. Besides that heavyweight, the rest of tonight’s lineup is extremely strong as well. Also it was sort of a weird week in that a bunch of games got a head start by launching yesterday, but they’ve been included in this list just to have all of this week’s greatness bundled in one handy location. 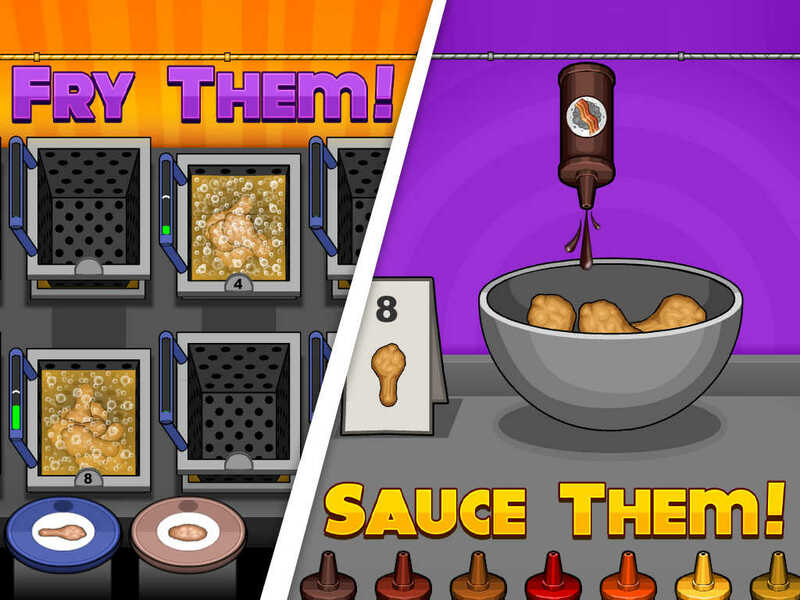 The sequel to the world’s first college gaming app has arrived! 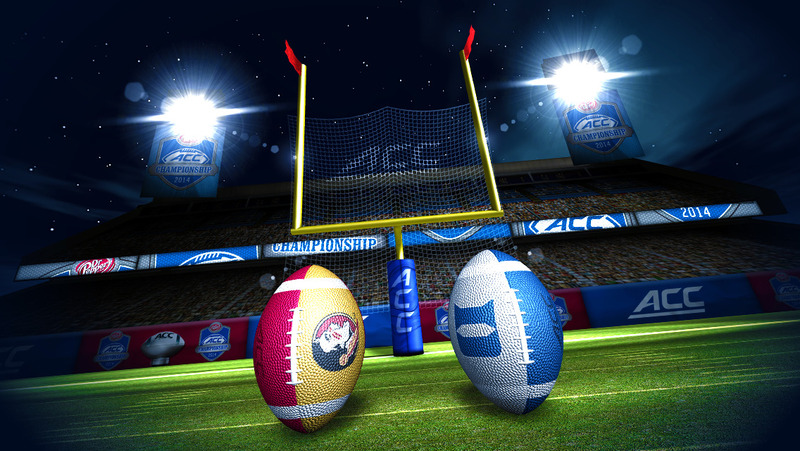 Choose your favorite school and compete online in a thrilling multiplayer football challenge. Every saturday, lead your team to victory in a revolutionary second-screen experience! Compete against rival schools in the app while the teams play for real on the gridiron. Then check back in or watch the ACC Network television broadcasts to see which schools emerge victorious. Win prizes in online tournaments, play through real seasons as your favorite team, and brag about your conquests on Facebook and Twitter. Collect Energy and avoid dangerous obstacles in this thrilling and fast-paced game! With the recent groundbreaking discovery of the Higgs boson at the Large Hadron Collider, the question now is where it will lead next. Does there exist a whole class of undiscovered particles? That’s the goal in AcceleroX. Compete with yourself and friends to smash more and more particles in this endless level game to discover the missing majority of the universe! Unlock multi-particles for additional lives. Play your way through endless levels as you attempt to reach smash velocity and split the target particles. Experience the heart pounding speeds! Defend your kingdom from rampaging hordes in this new kind of strategy and fortress defense game! Summon the power of the four elements, and elementally charge your armies before sending them to defend three lanes! Train, upgrade, and manage the growth of your warriors to forge a formidable army! Unlock powerful champions to fight for you—and eventually, call forth mighty creatures like treants, golems, and even good dragons to help you win! Back to Bed is a 3D puzzle game set in a unique and artistic dream world, wherein you guide the sleepwalker Bob to the safety of his bed. To achieve this, you must take control of Bob’s subconscious guardian named Subob. The pair travels through a surreal and painting-like dream world, filled with objects used to guide Bob towards the Bed, but also dangers that must be avoided! Get all the robots before time runs out! Comes in pure black and white explosiveness! Set in a black and white world, Booommm is the home to mischievous looking robots that will create chaos if not destroyed. Tap on them to make them explode before time runs out! Come discover the fabulous world your favorite Bubble Blast live in! Bubble Blast Adventure is an exciting Platformer where you must race through the levels collecting special items and defeating the evil Bubble Square Tribe. The Bubble Square Tribe has invaded the beautiful kingdom the Bubble Blast have peaceful lived in for centuries. While invading the kingdom, the tribe has stolen Bubble Blast artifacts, which represent the greatest source of power in the entire kingdom. As you venture through the various levels and take back the Bubble Blast Kingdom, you will be in charge of recovering them all. The kingdom’s future is at stake. There’s a reason this cat is so chunky! There are so many delicious critters roaming around the city roofs, not even a fat lazy cat like Chunky can ignore them! Help him catch as many snacks as you can, but beware! There are many dangers lurking around. Dangerous falls, mice traps, guard dogs and other perils will try to end Chunky’s quest for mighty food. Don’t let them! Fight for Chunky’s flab, be the roundest feline hero that has ever been! FIRST GAME IN THE WORLD ABOUT COLOR MIXING. Mix and play! Tune up your brain in colorful way: navigate, choose and discover the addictive world of color mixing. SPIN A COLOR WHEEL: It may come in handy while venturing through the colorway. Learn how colors interact. COLLECT COLOR FACTS: Complete level chapters to unlock colorful achievements. Gather all interesting facts! CREATE EVERY COLOR: Use your imagination to solve the puzzle and colorize the whole spectrum of colors – our mixing algorithm will do the rest! Dino Skater — Skate to save the world! A meteor has hit the prehistoric earth! Help Dino kickflip, ollie, and grind his way to saving the dinosaurs from extinction! To stop the lava flood you must collect magical fire eggs strewn across Dino’s radical jurassic world…OR ELSE. Use your sick skateboard skills to grind along the backs of fellow dinosaurs while collecting fire eggs to help stop the flow of lava. Snag coins along the way to load up on powerful gear, souped up boards, and upgradeable powerups. Fighting Fantasy: Appointment with F.E.A.R. Travel back to the 1980s as a superpowered defender of justice in this all-new edition of Steve Jackson’s Appointment With F.E.A.R.! This dynamic edition is stylized as an interactive graphic novel. Your choices guide you towards new villains, super dilemmas, and ultimately, the Titanium Cyborg himself! As Titan City’s courageous and incorruptible champion of law and order, use your super powers to protect its innocent citizens from the danger and deviousness of a host of super-villains bent on taking over the world! Your mission is to discover the location of the top-secret F.E.A.R. meeting, capture the Titanium Cyborg and his cohorts and bring them to justice. Control awesome gliders by touchscreen and taps. Each of them have unique abilities! You will encounter wide range of dangers on your way placed by the Corporation – avoid collisions with the enemy devices, use boosters to penetrate obstacles and weapons to defeat enemies! Now, it’s time to punish the villians. KittenTaxi is a new generation of racing shooter game with a unique animated hand drawn graphics you’ve never seen before!Epic escaping story of bank robbing cats, a reverse view makes gameplay more exciting. CARS, CATS and GUNS! What more needs to be described? Forum Thread: KittenTaxi – CARS, CATS and GUNS! What more needs to be described? Ever wished you could raise a Puppy of your very own? Now you can with My Puppy! Your job is simply to care for the world’s most cutie Puppy dog! It’s your task to ensure that they’re happy and healthy. Accomplish this feat by feeding, petting, playing with their favorite toys or even dressing them up in numerous costumes! Earn bones by playing with your Puppy around the park then use these to dress up your Puppy and even adopt the new Puppy! The Nightmare Cooperative is a puzzley roguelike. You control a group of characters, each with different special abilities. The trick? They all move together, as a group. Something of a cooperative, if you catch the drift. Every playthrough will be different, and you’ll always have to start at the beginning, no matter how well (or badly) you did before. Your score is the amount of gold that you pickup during your journey. Opening crates gives you extra gold, but releases more monsters. The princess was kidnapped by monsters! Ninja explore field and dungeons, collect items, and get back the princess! 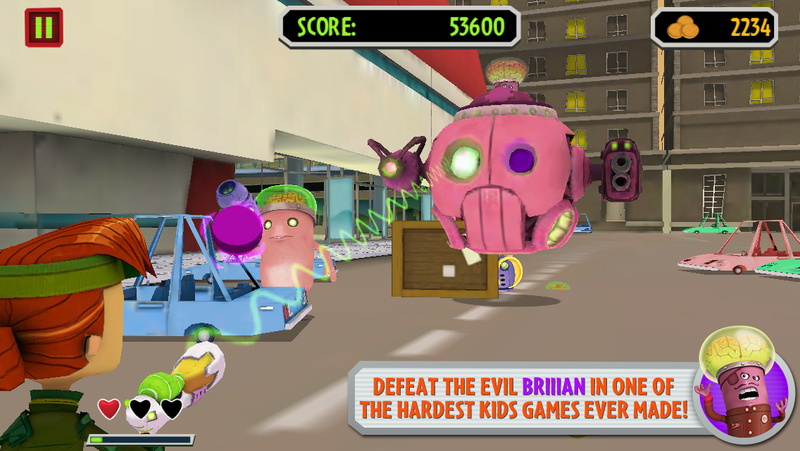 Briiian and the Brainlings have taken over S.W.E.E.T.’s secret hideout, and it’s up to YOU to take it back! Stay on high alert in this action packed game that’s easy to learn but hard to master! Aim your weapon and tap to shoot as you make your way through S.W.E.E.T’s secret hideout! Swipe to build combos and knock out multiple aliens. Watch out for crafty Brainlings, powerful Brainmandos, and their evil boss, Briiian! Optika is a puzzle game where you control light with 14 differents optic devices to complete levels. Be ingenious and lead the right color to the Receivers with the help of Professor Opticus and Sofia. Don’t hesitate to decompose and move the light with lenses, mirrors and prisms. Take your time and guide the photons to their goals! You’ve won a trip to Starlight City and find yourself in charge of Papa’s latest restaurant, where you’ll need to run the fryers and toss chicken wings in an assortment of flavorful sauces. Your customers expect a great presentation, so arrange the fried foods with sides and veggies so they’re pleasing to the eye — and their stomachs! Though the restaurant is known for its famous wings, you’ll also unlock a variety of other meats to fry for your customers, as well as a wide array of delicious sauces and plenty of sides and dips to go with their meal. The familiar hands-on gameplay of the series is back, but this time you’ll especially have to focus on presentation and how to best lay out the plate with all of the food ordered. Learn a variety of patterns for arranging the food to earn the best scores from your customers, and earn big tips to spend in the Shop! THE MOON WILL NOT STOP SINGING! Launch rockets at him to make him stop. Hmm… That only annoyed him. Star Nomad is a top down RPG/RTS tribute to classic spacesims of old such as Wing Commander: Privateer, Escape Velocity and Freelancer. In Star Nomad, you roam free in the Wildlands Sector, in a sci-fi noir setting rich in depth and humor. Be a neural data transporter, mercenary for hire, merchant trader, contraband smuggler evading the law or even a pirate making your fame (infamy) & fortune. If you love games such as Star Traders, Space Rangers, Eve Online, Transcendence, FTL or the upcoming Star Citizen, you will probably love Star Nomad! Forum Thread: Star Nomad, a sandbox tribute to classic spacesims! – Keep tabs on the thoughts of employees and guests by reading the “BitBook" virtual social network! OMG – This is out of control! 10 dudes with insanely hard punches decided to knock down a skyscraper. Trapped in a VR world powered by an ancient handheld device, you are forced to endlessly dream in a pixel world of just 4 colours! Doves have taken roost in your prison and though you don’t know it they are the key to your survival. The Doves subconsciously inspire dreams of flight, so take to the skies through the mazes of your imagination and find the exit. Intuitive two button gameplay is all you need to steer your way through the sky. Fly through each stage and reach the exit. Get doves to follow you for extra bonus bragging rights on Game Center and Social Networking stuff. If walls aren’t enough challenge you may enjoy the variety of traps that get rapidly added including, moving walls, speed boost zones, growing walls and more! New generation of racing shooter! MIX AND PLAY: Tune up your brain in colorful way - navigate, choose and discover the addictive world of color mixing. Ever wished you could raise a Puppy of your very own? Now you can with My Puppy!